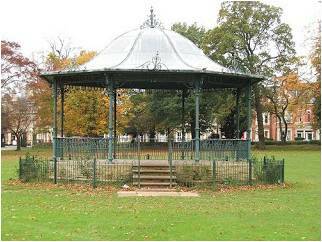 This year's event will take place in Abington Park at the Bandstand and will feature the usual mix of bands, prayers and speakers. One of our guests is Tommy Baker, a world renowned Basketball Freestyler. Tommy will be performing and sharing his testimony. Also Tommy will be out and about in Northampton on Saturday. If your Church would like to be involved in this outreach especially our youth in Northampton please contact us. This year we are also planning a Messy Church area for families. 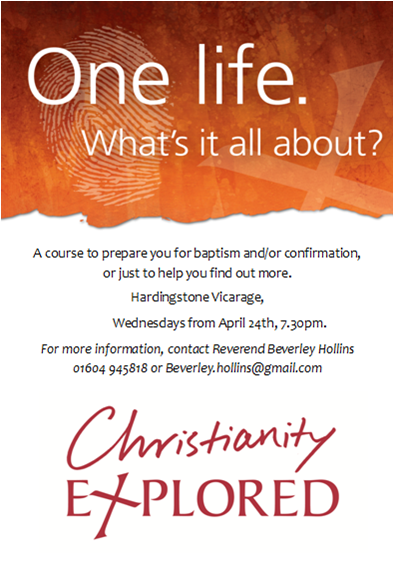 Why not come and be involved. We look forward to seeing you there. 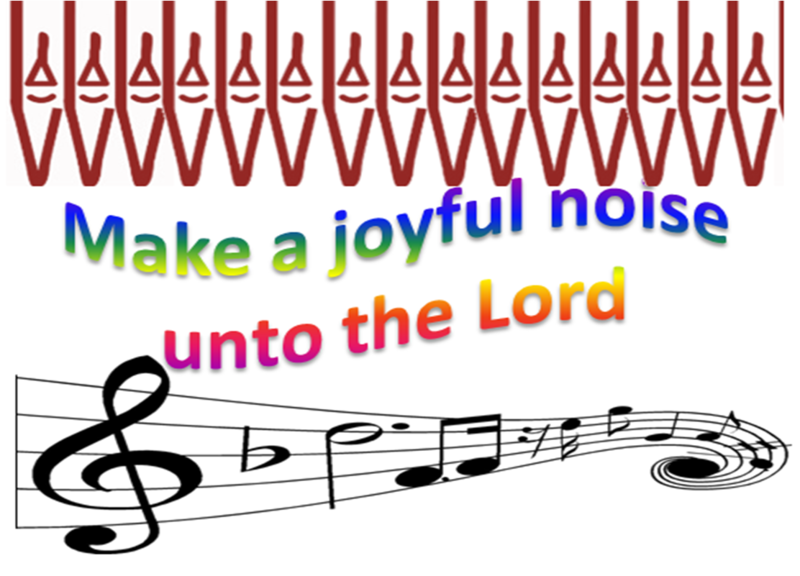 Help us to continue to make a joyful noise in Hardingstone. Come along to our Coffee Morning and Bring and Buy in aid of the Hardingstone organ appeal on Friday June 14th, 10 - 12 at the home of Rhoda Bauldreay, 1 Firs Court, Hardingstone. Flushed with success!The Living Brook Benefice has raised a total to date of £311.30 for our Lent toilet twinning campaign, which means we have enough to buy FIVE new toilets which will be built in Burundi. Thanks to everyone who has saved their pennies during Lent. Some parishioners have followed Revd Beverley's lead in twinning the toilet in The Vicarage and have twinned their toilets at home too. We also know that our campaign has influenced other groups too, Hackleton cubs are saving their pennies during April and hope to be able to twin another toilet. In addition all the toilets in Middlesex University Library are now also being twinned, due to awareness of our campaign. Just because our Lent campaign is over, this doesn't mean you have to stop collecting your pennies for this fantastic project. To announce the end of our Lent campaign, however, a prize of a T-shirt and an Easter egg were awarded to Toby who had managed to collect the most pennies. Easter newsEaster in the Living Brook Benefice has brought all our churches together at this most special time with services that have brought to life the Easter story. Services that have reflected the bittersweet moments of Jesus' last few days on Earth and the impact it had on those closest to Him then and for us here today. 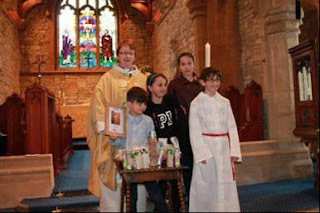 The various services and activities throughout the Benefice, has been a time of fellowship and a chance to worship together with all the members of the benefice. 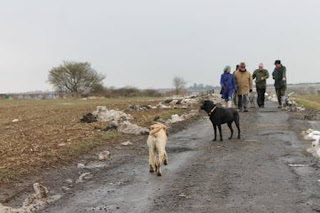 Below are a couple of photos taken on the Good Friday walk and breakfast. 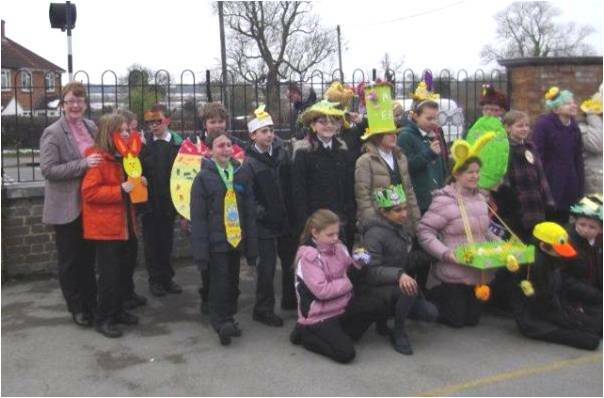 Our thanks to all those at Quinton who worked so hard to put on such a fabulous breakfast.